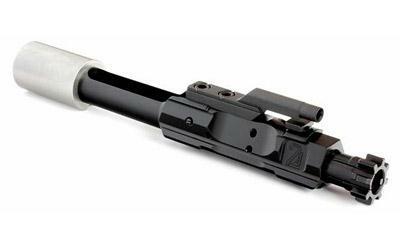 The 2A Armament Full Mass Bolt Carrier Group (FMC) for AR-15s in .223/5.56 was designed with enhanced weight distribution in mind. Most of the carriers mass has been moved to the rear of the carrier so more weight is over the pistol grip instead of the magazine creating a more balaced system. When firing the FMC reciprocates along the plane located within the pocket of the shooters shoulder and pistol grip instead of in front between the magazine well and pistol grip. Made in the USA.